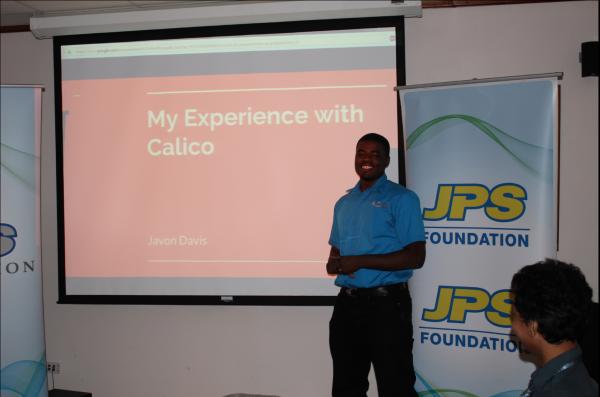 As we draw closer to the 2017 run of the Calico Challenge, the Palisadoes Foundation just culminated its 2016 Challenge by acknowledging the contribution and support of our main sponsor, the JPS Foundation, through a set of presentations from four of our 2016 participants, Luke Chen Sui, Jerene Ricketts, Alexander Nicholson and Javon Davis. The student achievers not only offered insight into lessons gained from participating in this “learn and earn” project, but also gave suggestions on how to make the upcoming Challenge an even greater success. The presentations were a fitting finale to our exciting and successful first year showcasing how far we have come and highlighting how much more needs to be done! A word about our principal benefactor is in order here. The JPS Foundation is the philanthropic arm of JPS (Jamaica Public Service Company Ltd), the island’s chief energy services provider. Established in October 2012, the Foundation manages and executes the Company’s social responsibility projects. It operates with the mission of empowering Jamaicans through charitable development projects, and is propelled by a vision to unleash national growth and prosperity by being the not-for-profit partner of choice in Jamaica’s Energy Revolution. The JPS foundation is especially geared towards promoting the cause of innovation and youth education, and we are glad it found a like-minded partner in the Palisadoes Foundation whose Calico Challenge has the potential to tap precisely the kind of talent that will help achieve this end. It is indeed heartening that the JPS Foundation shares the same level of commitment and drive to see the Calico Challenge grow and expand its reach for the benefit of more students who need a leg up. 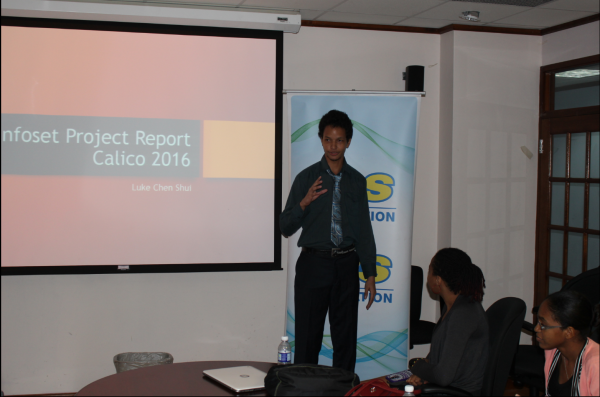 In preparation for the 2017 Calico Challenge, a launch has been planned at the UTech, Jamaica, on Nov 3, 2016 in LT 23. Presentations by Peter Harrison of the Palisadoes foundation, Kevin White of the JPS Foundation and Sheldon Powe of the JCS will kick start our race up to the next challenge. 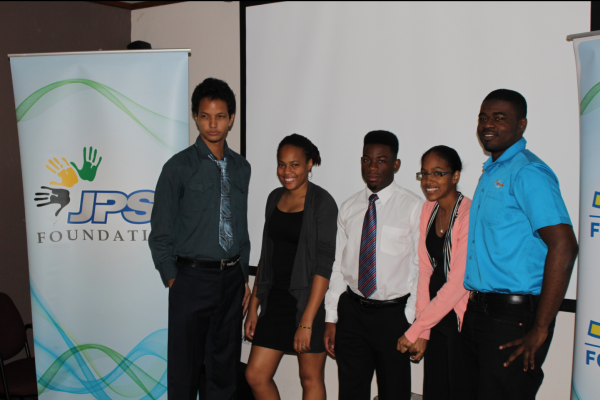 Representatives of the Palisadoes Foundation will also be in attendance at PyCon 2016, a Python Jamaica Conference scheduled for Nov 17-19. A note on each of our prideful participants and their presentations!!! Luke spoke about the Linter he had built for Infoset which checks for discrepancies in the code using Pep257, Pep 8 and Infoset’s formulated style guide. He enumerated the many benefits of contributing to open source. 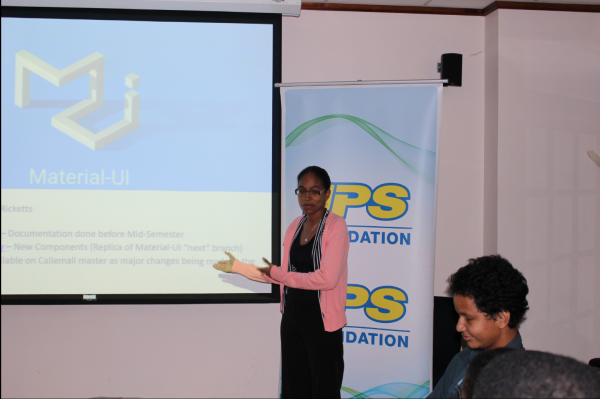 Jerene presented documentation and rendering of chip which she completed for Material UI. Jerene worked on the chip component which is used to create icons commonly seen in contact lists. See this link for a full explanation. She expressed that although her contribution was not merged with the main repository due to the size and significant changes made to the infrastructure of Material UI, she will certainly continue contributing to the project considering the wealth of knowledge she has gained from participating in the Challenge. Javon explained that given the massive overhaul which Infoset endured, his contribution was not merged with the main repository. However, participating in the project provided Python practice and taught him the core concepts of networking. 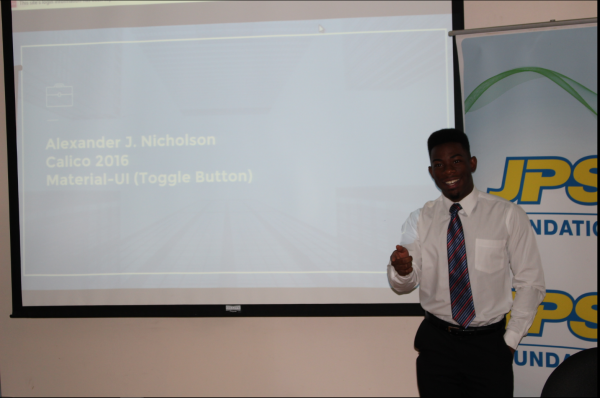 Alexander (Alex) displayed his toggle button and described some of the things he had learned including the difference between controlled and uncontrolled components.